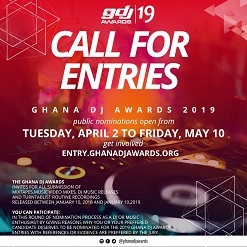 The Ghana DJ Awards solicits for nominations through their website. Entries are requested to fill all the categories presented. A jury is setup from knowledgeable entertainment and music professionals to go through the entries and select the nominees. Nominees are announced at a Launch ceremony as soon as the jury complete their work. 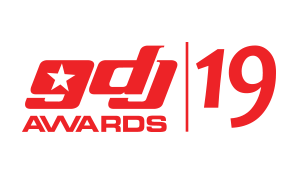 In some categories, nominees are open each year for the public to vote for their choice of DJ, the voting is also supported heavily through all the nominees social networks. The voting is usually open for a short period, and attracts voters nationwide. The winners are invited to be presented with their award at a grand ceremony. There are also a selection of awards which are not open to voting, these awards are decided by the Jury. The various special awards celebrate individuals and talents, productions, which often are groundbreaking. The Ghana DJ Awards Trophy is a piece that embodies Excellence. There are 5 stars at the top part of the trophy, which signifies excellence at the top level. Since there are multi-faceted areas of DJing, we ensured making it 5 stars which implies Ultimate Quality.